You may be eligible to become a lawful permanent resident based on the fact that you have a relative who is a citizen of the United States, or a relative who is a lawful permanent resident. You relative must file an immigrant visa Petition for Alien Relative that must be accompanied by proof of your relationship to lawful permanent resident or citizen of the United States. The Petitioner must prove that they can support you at 125% above the mandated poverty line, by submitting an Affidavit of Support. You may file an application within one year of arriving in the United States. Exceptions to the one-year rule might be if conditions in your home country have changed, or if your personal circumstances have changed and those changes affect your eligibility for asylum. To apply for asylum, you must file an Application for Asylum and for Withholding of Removal. It normally takes not more than 180 days from the day you file your application to complete the process. You will be scheduled for an interview with United States Citizenship and Immigration Services regional service center in your area. If your application is approved, you can legally stay in the United States. As a Political Asylee, you may file for “derivative status” for your spouse and children. After you have been an approved Asylee in the United States for a period of one year, you may file an application for adjustment of status (Green Card). If you have been granted Political Asylum in United States you may apply for derivative asylum benefits for your spouse or unmarried children under the age of 21 within two years of your grant of asylum. If your spouse or children are already in the United States, they may be eligible for derivative asylum benefits regardless of whether they are in the country legally or illegally. The relationship between you and your spouse and children must have existed when you were granted asylum and must continue to exist when you file Refugee/Asylee Relative Petition and when your spouse and children are admitted to the United States as derivative asylees. If your children are outside the United States and have been approved for derivative asylum benefits, your children will be able to come to the United States as an asylee at any time as long as they are under 21, unmarried, and maintain their relationship with you. If your spouse is outside the United States and has been approved for derivative asylum benefits, your spouse will be able to come to the United States as an asylee at any time as long as your spouse remains married to you. The Immigration and Nationality Act (“INA”) grants K-1 nonimmigrant status to an alien fiance of a U.S. citizen who seeks to enter the U.S. solely to complete a valid marriage within 90 days after such entry. K-1 visas are only permitted where the petitioner is a U.S. citizen, not a U.S. permanent resident. K-2 status is granted to the dependent minor children of an alien fiance who are accompanying or following to join that fiance. This category is used where the alien intends to remain in the U.S. after the marriage until his or her status is adjusted to that of permanent residence. Because it is clear that the fiance intends to remain permanently in the United States, there is no requirement that he or she maintain an unrelinquished residence abroad. Both the U.S. citizen petitioner and the alien beneficiary must have a bona fide intention to marry and be legally free to marry during the entire 90-day period following the beneficiary’s admission to the United States. The petitioner must also establish that the petitioner and beneficiary have met in person within the two years immediately preceding the filing of the petition, although an exemption from this requirement may be obtained if compliance would result in extreme hardship or would violate long-established customs of the beneficiary’s foreign culture or social practice. If the fiance does not marry the petitioner within the 90 day period, he or she must depart from the United States. An alien admitted to the United States as a fiance, is authorized to be employed in the United States for the duration of the visa without any restrictions as to the type of employment or location thereof. However, it is necessary to apply for an employment authorization document. Children under 18 may automatically become citizens when their parents naturalize. If you obtained your conditional residence status through marriage to a U.S. citizen or permanent resident, you must apply to the USCIS to remove the conditions on your residence. Once your petition is approved, you will be granted a 10-year permanent resident card. You will file this petition jointly with your spouse if you are still married. If you and your spouse are no longer together, you may be eligible to file for a waiver as long as you can show that the marriage was entered into in good faith. You must file during the 90 days prior to the second anniversary of the date that you obtained your conditional permanent residence status. For most people, this anniversary is the same as the expiration date on their green card. If you are requesting a waiver for the joint filing requirement, then you may file any time after your conditional residence is granted. File as soon as you become eligible. If you do not file, you will lose your status and could be removed from the U.S. The USCIS may excuse a late filing due to extraordinary circumstances, but you will have to provide a written explanation with your petition. A Permanent Resident Card, also known as a Green Card, is evidence of your status as a lawful permanent resident with a right to live and work permanently in the United States. It also is evidence of your registration in accordance with United States Immigration Laws. Under the Violence Against Women Act (VAWA) passed by Congress in 1994, the spouses and children of United States citizens or lawful permanent residents may self-petition to obtain lawful permanent residency (green card). The immigration provisions of VAWA allow certain battered immigrants to file for immigration relief without the abuser’s assistance or knowledge, in order to seek safety and independence from the abuser. Child: You may self-petition if you are a battered child (under 21 years of age and unmarried) who has been abused by your U.S. citizen or lawful permanent resident parent. Khashmati and Associates, P.C. 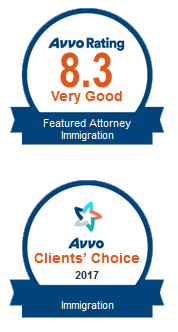 can assist you with all other immigration matters. Call our office to schedule a consultation.